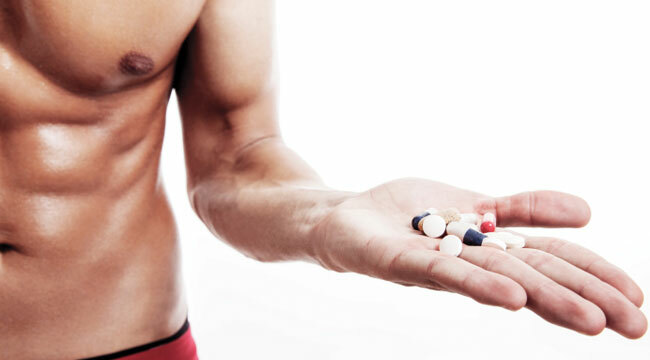 These super supplement combinations will crank up the heat on your fat-loss efforts and help you lean out this summer. You've heard the phrase two heads are better than one? The same logic applies to many things, including supplements in many cases. Where one supplement can help burn fat, taking it along with one or more others can really ramp up the effects. With that in mind, the following nine combinations might provide that extra edge you're looking for. There are a lot of effective fat-burners on the market today, but for some people, such as college students and others on a tight budget, the sticker price alone can be more than they normally spend on food. But fat-loss supplements don't have to be expensive to be effective. Caffeine and green tea extract are added to almost every fat-burner on the market today because they work well. If you purchase them alone without the bells and whistles, however, you'll find a potent fat-burner combo that costs you only pennies a day. One of the major ways caffeine boosts fat loss is through its ability to bind to fat cells and enhance the removal of fat from them while inhibiting the storage of more fat. Caffeine also works to increase fat-burning during rest and exercise. Green tea extract contains compounds known as catechins. One of them, called epigallocatechin gallate (EGCG), is responsible for the majority of green tea's fat-burning effects. EGCG has the ability to inhibit an enzyme that breaks down norepinephrine, the neurotransmitter involved in regulating metabolic rate and fat-burning. By stopping the breakdown of norepinephrine, you can keep metabolism and fat-burning elevated for longer, especially when caffeine is used to free up fat from fat cells. Research studies confirm that green tea extract can significantly boost fat loss. Combine them like this: Go with 200 to 400 mg of caffeine anhydrous with 500 to 1,000 mg of green tea extract standardized for EGCG in the morning and an hour before workouts. On rest days, take a second dose in the afternoon. To maximize fat-burning, you need a supplement that goes directly to where fat is stored and frees it so it can travel in the bloodstream to muscles and other tissues of the body where it will be used for fuel. You also need to make sure the fat is carried into the machinery that burns it, the cell mitochondria. This supplement combo helps on both fronts. Forskolin, the active compound in the herb coleus forskohlii, gets the first half of the job done well, working to enhance fat loss by activating the enzyme adenylate cyclase. This enzyme causes a cascade of events that leads to the activation of another enzyme, hormone-sensitive lipase (HSL). 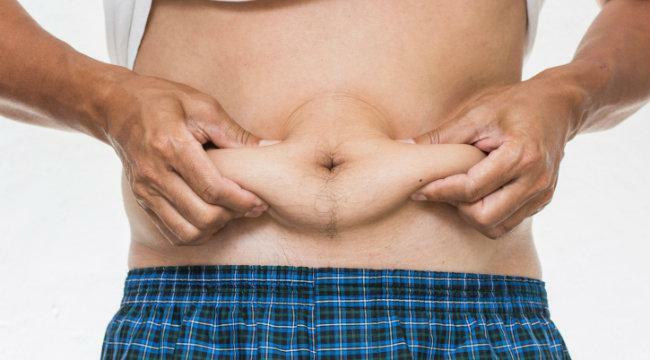 HSL increases lipolysis, or the ability of the fat stored in fat cells to be released into the bloodstream, where it can travel to tissues such as muscle. In fact, one study from the University of Kansas (Lawrence) reported that overweight men who took forskolin lost significantly more bodyfat than test subjects who took a placebo during a 12-week study. Carnitine takes care of the second half of the job. This amino-acidlike supplement helps the fat that gets to tissues travel into the mitochondria of those cells, where it's burned for fuel. Research confirms that carnitine supplementation improves fat-burning during exercise and rest, and leads to greater fat loss. Combine them like this: Take 20 to 50 mg of forskolin and 1 to 3 grams of carnitine (as L-carnitine, acetyl-L-carnitine or L-carnitine-L-tartrate) with breakfast, preworkout meals and postworkout meals. Sometimes increasing your body's fat-burning potential is as easy as using certain spices in your food. Adding a little red pepper or ginger is an easy way to spice up your meals and increase your metabolism. If you like spicy food, then boosting fat loss can be as simple as eating. Capsaicin is the chemical in chili (red) peppers that makes them spicy. It boosts bodyfat loss by increasing metabolic rate and fat-burning through its ability to raise levels of norepin-ephrine. It also works to significantly decrease hunger and thus your overall caloric intake. 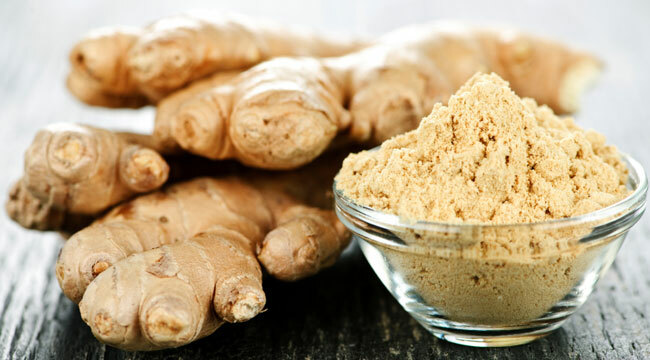 Ginger is a root with numerous properties that make it an effective treatment for inflammation, nausea and motion sickness. It's also a valuable aid for fat loss. Research shows that both fresh and dry ginger increase metabolic rate and lactic acid production by muscle. Since lactic acid stimulates growth hormone (GH) release and GH increases lipolysis, this is another fat-loss benefit of ginger. Combine them like this: Look for ways to add red pepper or ginger to your meals. Red pepper obviously goes well with traditional Mexican-style foods, but it can also be used to spice up eggs or cottage cheese. You could also use red pepper—based hot sauces and salsas on foods. An easy way to get ginger on your plate is next to your sushi or sashimi in the form of pickled ginger. You can also buy ginger root and slice it into a stir-fry, or use a generous portion of dried ginger.